As an e-liquid manufacturing leader we have a responsibility to drive e-liquid quality and standards, and to continually improve the product we make for our customers. Cuts Ice were the first e-liquid manufacturer to attain the ISO 9001/ 2008 Quality Management System (QMS) from the prestigious British Standards Institute (BSI). The business retained the standard for the past 5 years and has now transitioned to ISO 9001/ 2015. This QMS is a fundamental part of our business strategy and how we challenge ourselves to improve. Through empirical and quantitative means our experts are gaining a deeper understanding of the next developments in vaping technology which will drive the innovations demanded by consumers. Improvements are based on small changes, not only on major paradigm shifts or new inventions – incremental change is typically easy to implement. Employee ideas are gold – employees take ownership, are involved in improvement across the business, and challenge our standard daily. Improvement is reflective – measurable and potentially repeatable. 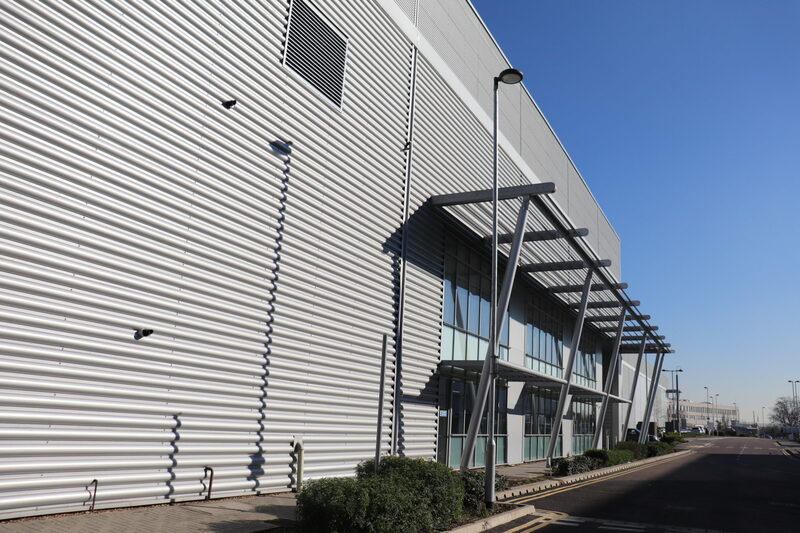 Based at Origin, the premier business park in London, our manufacturing facility blends, tests and bottles e-liquid for both open and closed system vape products. Our purpose built facility has been furnished with state-of-the-art manufacturing and testing equipment proprietary to e-liquid production methodology. Designed by our team to optimise output, efficiency and process flow from order take to the dispatch of products to our global customer base. Our facility boasts one of the largest and most sophisticated ISO Class 7 cleanroom footprints in the independent vape industry. We are able to produce over 1,000,000 bottles of premium e-liquid and 7 metric tons of either premixed e-liquid or flavour concentrate per week. We currently run five days per week and on two shifts across business operations. From the start of the order process, through to warehousing product and final dispatch, our bespoke production management system guides the product along the journey, to ensure full traceability and that our client’s orders are fulfilled on time and in full (OTIF). Innovation is what drives this category and develops products that will enable smokers to make the switch. We have a dedicated R&D team focusing on horizon scanning for the next developments in e-liquid technology. IP and confidentiality is extremely important to Cuts Ice and its customers. However, we are happy to welcome those interested in vaping standards and science to our facility to discuss processes, policy and research. This open forum approach including all stakeholders is the only way to develop a more effective regulation and standard. Cuts Ice sets the bar for quality standards in the industry. Throughout our company’s history we have been involved in collaborative industry efforts to drive standards to preserve the future of vaping products for smokers. We are always open to working with partners across the vaping industry and beyond to improve best practice for the benefit of all. Our work is powered by a dedicated, diverse team of experts who are constantly looking to improve our current product offering as well as horizon scanning for the next ground-breaking developments in e-liquid quality and safety. One collective goal drives our scientists – realizing the opportunity to positively effect the lives of millions of smokers across the globe. All of our liquid design is overseen by our regulatory team who will guide your products through compliance with all aspects of Tobacco Products Directive (TPD), Classification, Labelling and Packaging regulation (CLP), and other relevant regulations. We have representation on international standards committees, and grasp any opportunity to share our knowledge with the wider industry.